But it was pretty enough. And look – I ended up with a color image. Which just goes to show you how the entire experience impacted me. 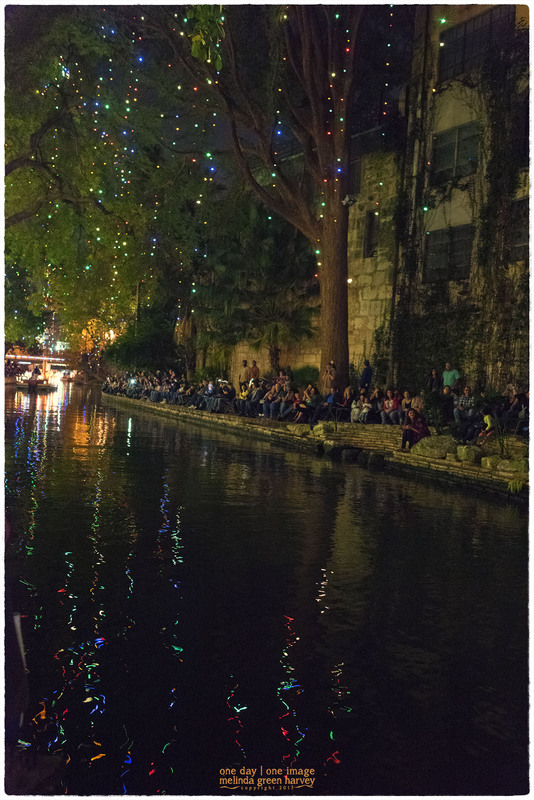 Posted on January 11, 2017, in Photography and tagged 365 photo project, melinda green harvey, one day one image, photo a day, photography, postaday, River Walk, san antonio, san antonio texas, texas. Bookmark the permalink. 9 Comments. Way to many people for me ! Thanks for going and sharing so I don’t have to do it. Yeah, I totally took one for the team. You’re welcome. But you got a very nice shot, and if you go again, you will likely get another. Or perhaps an even more interesting shot of someone trying to get out of the water. I know what you mean. My unclean family members should bathe more often too.